"Creative entrepreneurs need this book. This indispensable and tremendously practical guide takes the unsure entrepreneur by the hand and makes the often complex launch of a small business a whole lot simpler. Before meeting with an attorney, an accountant, or customer, this book will equip you with crucial information that is necessary for your success." Finally, a lawyer saves you time and money with legal and practical knowledge about starting and growing a creative business. 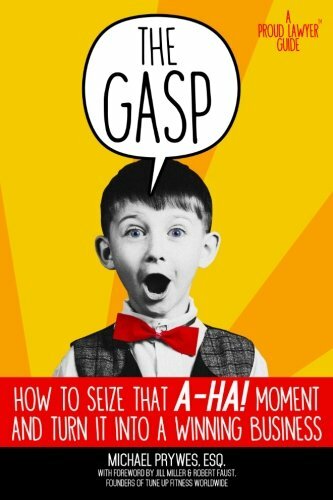 The Gasp: How to Seize That A-Ha! Moment and Turn It Into a Winning Business is a step-by-step handbook and practical guide to the legalities, practicalities, and pitfalls of creative entrepreneurship. Michael Prywes, Esq. has filled this book with the wisdom and personal experiences he shares with his own clients.